Sometimes, it takes just one unanswered call for most moms to hit the panic button. Sometimes, it takes just one unanswered call for most moms to hit the panic button. 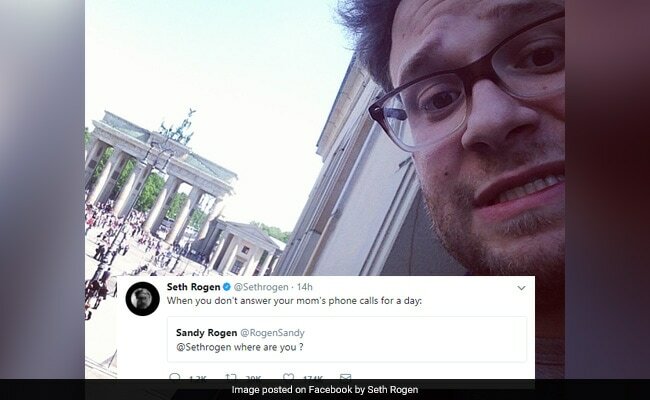 So when actor and comedian Seth Rogen didn't respond to his mother's multiple calls on Monday, she was forced to tweet him. "Where are you?" Sandy Rogen tweeted the Knocked Up star. A whole day later, Seth shared the tweet with his over seven million Twitter followers, writing: "When you don't answer your mom's phone calls for a day." But in the time it took for Seth to get back to his mom, Twitter quickly got involved. "Did you find him?" asked Twitter's official handle. ALWAYS answer when Mom calls. Moms will straight up track you down if you don't answer! Go Mom! My son will be 30 this month&I do this. We just need to know you're Ok! Moms have 3 theories after 24 hours: You're dead, in the hospital, or you've been kidnapped. I'm sorry, but that's the facts. You're lucky, Seth. I miss a text & she just sends the police to my house & I have to explain that my mother is crazy. I think our moms were created in the same mom factory.. Doesn't this make you want to pick up the phone and call your mom?